Loom-knotted in India, our Winslow rugs are heavy in weight and feature a heavy, dense and super-soft pile. Choose from five striped designs and a stunning block pattern, each rug is finished using an antique wash which tones down the colours and gives an antique look to this otherwise contemporary collection. 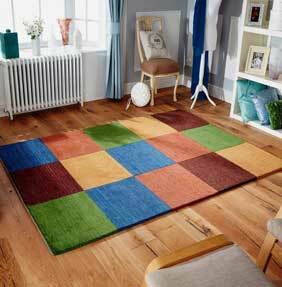 Winslow is available in six different size options, this includes large sizes and a long hallway runner. Bespoke made to measure sizes are available to order.